Hardcover. 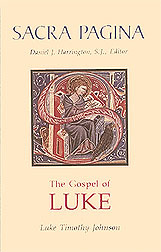 What makes this commentary on Luke stand apart from others is that this is a literary analysis. Because it focuses solely on the Gospel as it appears and not on its source or origin, this commentary explores just what Luke is saying and how he says it. By Luke Timothy Johnson. 480 pp.